Welcome to England, where we have the uncharacteristically baking weather for weeks followed by what is scientifically termed by meteorologists as “meh” thereafter. This, apparently, is what we call “summer” and it doesn’t really hang about for long which leaves us Brits wondering what to wear on any given day. Do we rock the shorts and flip-flops (actually, flip-flops are an abomination and should never be worn in any weather, thank you very much) or do we rifle through the back of the wardrobe to locate a nice cardie? Who knows! This presents a challenge not only for our fashion wardrobes but also for our olfactory ones too. What does one wear when it’s not too hot or not too cold, or if the weather is just so darn unpredictable? Well, luckily for you, we here at Escentual have the answer and in this guide, we have rounded up a neat selection of temperate fragrances that work perfectly whatever the weather. The climate may be erratic but these scents are always reliable, come rain, come shine, or come ‘meh’. For the gents out there, what is the perfect bridge between an energetic eau de cologne and a warm, woody wonder? The answer is balance. 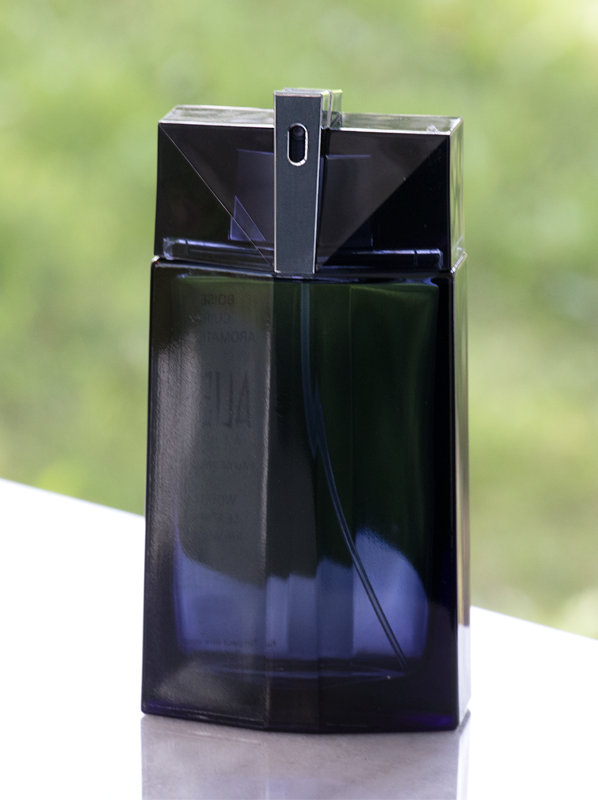 First up we have Alien Man Eau de Toilette from MUGLER. This hot new masculine launch is a sporty take on the fougère (fern) genre, which usually errs on the suave, barbershop end of the spectrum but finds new energy in this extra-terrestrial masculine. Warmer notes such as leather and amber are lightened by the herbal freshness of dill and the blond character of beech wood. Cashmeran, a material with a woody, spicy, sweet and fruity character, elevates it into the stratosphere. It’s the perfect thing for any occasion: work, the gym, date night, no matter what the sun is doing or not doing outside. If you’re a guy who wants something more citrus-focused, L’Envol Eau de Toilette by Cartier offers up exactly that but with depth. It sparkles and glistens with citrus fizz, almost as if perfumer Mathilde Laurent has managed to capture, through citrus notes, the fizzing air just above a freshly-poured glass of lemonade. The depth and warmth come in the form of a honey note – rich and golden, this honey accord has a warm character with just a hint of something animalic. It’s extended by iris, which brings a yeasty nuance, making for an unusual, subversive masculine that is polished finely enough to smell rich and smart. On a hot day the citrus fizz refreshes, whilst on cooler days, that honey-fuelled warmth provides perfect comfort. If the male selection in this temperate guide is about balance, the selection for women is all about diffusion, with two scents that present heft and warmth but with space and diffusion, making for substantial scents that never suffocate. Perfect for the duality of the British summer! I don’t know about you but when I think cool weather, I think gourmands – after all, there’s nothing more comforting than a bit of chocolate or caramel, or both for that matter… But the problem with gourmands is that they tend to get a bit sickly on warmer days, which is never a pleasant experience. 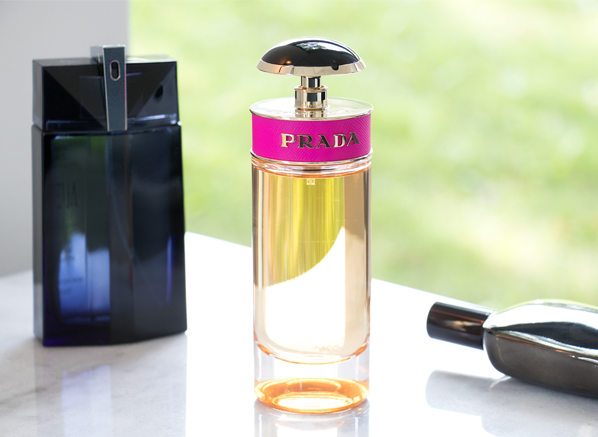 Enter Prada Candy Eau de Parfum – the perfect temperate gourmand that has sugar and lightness aplenty. The key here is the marriage of caramel and benzoin, which creates a soft, gauzy idea of deliciousness that is akin to a little mushroom cloud of sugar. Also, it’s by Prada and is, therefore, super luxurious. Luxury, diffusion and versatility, what’s not to like? Of course, gourmands aren’t the only way to go. What about a powdery rose instead? The perfect example of such a thing is Stella Eau de Parfum, the signature fragrance from Stella McCartney. Rose is the central theme here – a beautiful, baroque bloom crafted out of soft, velvet petals shaded in royal purple. Diffusion again is the key, with mandarin lightening the top notes, whilst a transparent amber accord gives Stella a floaty feel. It’s a luminous, lightweight and effervescent rose to be worn all day, any day. Woods make for the perfect unisex scents. There’s an androgynous angular quality to them or sometimes a softness that feels genderless. This duality works well on mild days because it has both lightness and depth, which makes for an intriguing olfactory experience. 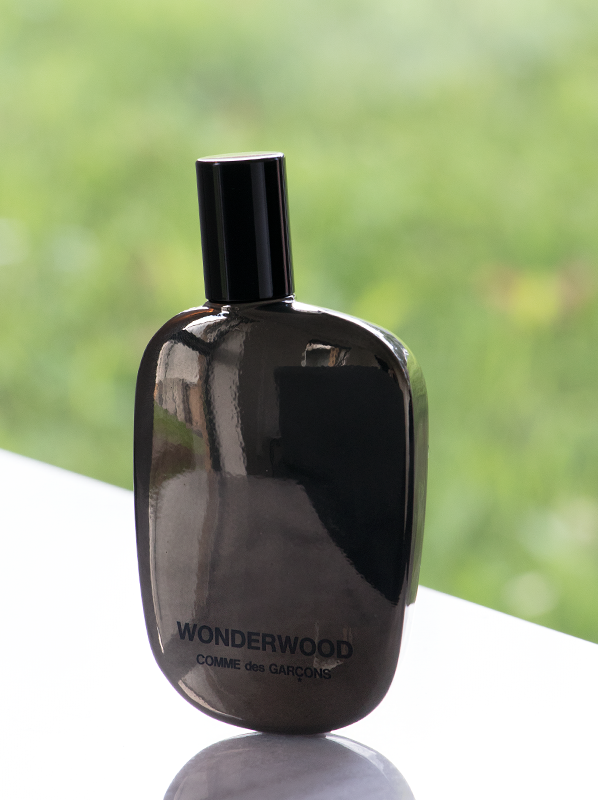 My perfect wood fragrance for mild weather is Wonderwood Eau de Parfum by Comme des Garçons. Taking cues from the abstract floral bouquets of the 1980s, Wonderwood brings us an abstract bouquet of woods with no real stand out material. It has the spice of cedar and the nutty, softness of sandalwood, but also an unusual petrol facet that blurs everything into obscurity. I can’t work out whether it’s sharp or soft, male or female, hot or cold, which makes it perfect for all things in-between, including meh weather. Absolutely scrummy fragrance cannot get enough of it although does not seem to last as long as some of my others but hey just the excuse to wear more, perfect feminine notes - def recommend as theres not one person i know that does not like it ! This entry was posted on Wednesday, August 29th, 2018 at 5:55 pm and is filed under Candy Perfume Boy, Fragrance, Hints & Tips. You can follow any responses to this entry through the RSS 2.0 feed. You can skip to the end and leave a response. Pinging is currently not allowed.